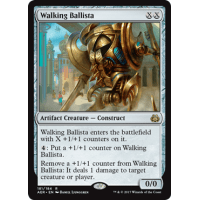 Walking Ballista enters the battlefield with X +1/+1 counters. 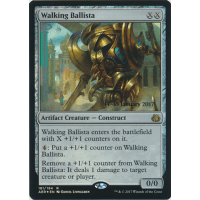 : Put a +1/+1 counter on Walking Ballista. Remova a +1/+1 counter from Walking Ballista: Walking Ballista deals 1 damage to target creature or player.